I partnered with Just Ducky Tours for this post. All opinions are 100% my own. 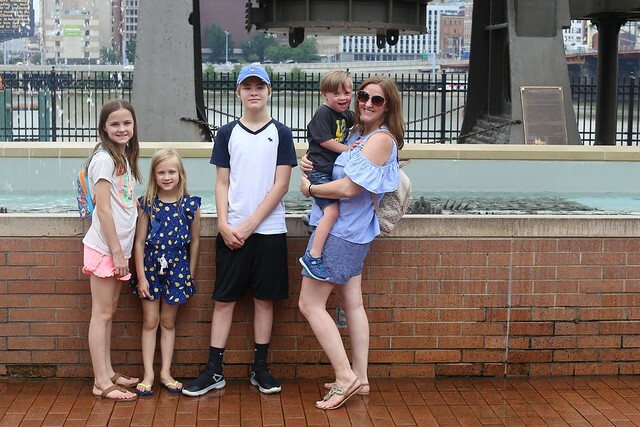 There are so many fun family-friendly activities in Pittsburgh, and my own family loves to spend the day in the city! 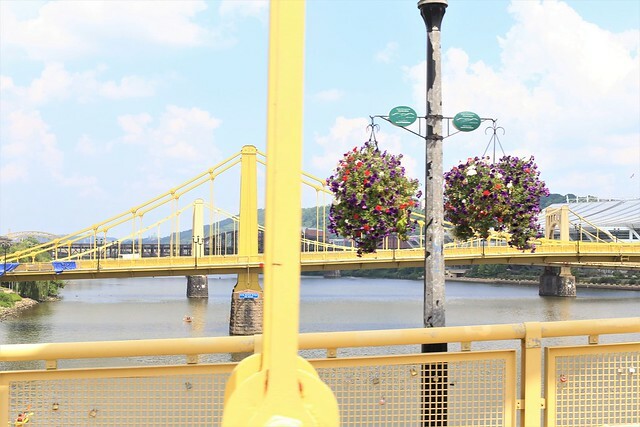 It's just a short drive south from the suburbs, and there's no denying that Pittsburgh is a beautiful place to visit. No matter how many times I experience it, my breath still catches every time the first bridge and skyscraper come into view as we approach the city. 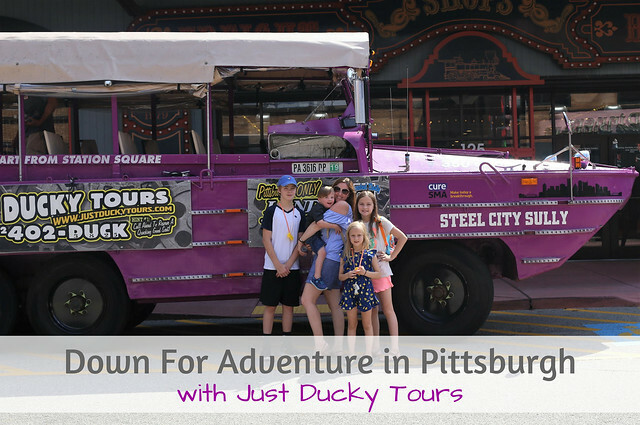 Just Ducky Tours is a fully narrated tour of Pittsburgh, both on land and in the water, thanks to the use of DUKW's! The DUKW (pronounced DUCK) is an amphibious truck that was built during WWII. 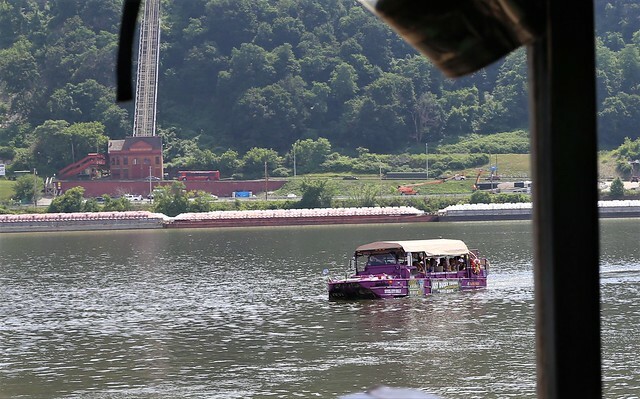 The hour long tour takes you through the streets of Pittsburgh, and into one of the rivers. The driver and the guide narrate the entire tour, and once in the river, the driver moves aside to let some passengers steer the boat. 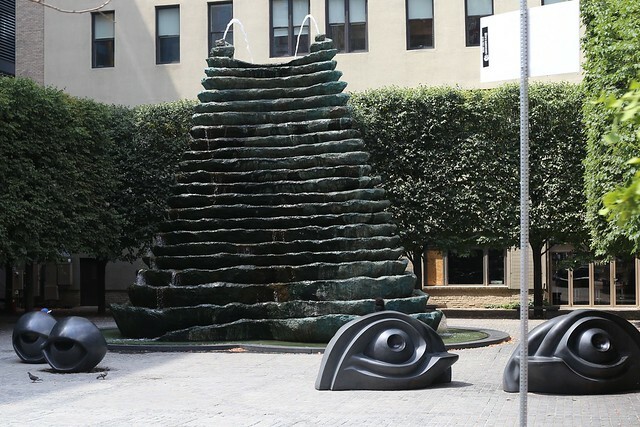 It is a great way to experience some of the best things about Pittsburgh! We were all looking forward to the tour! 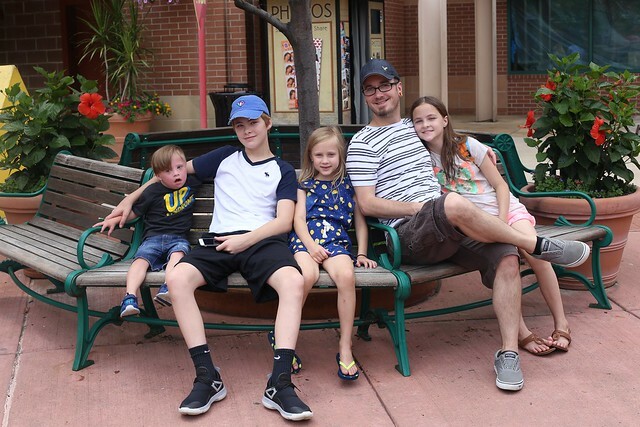 My husband took the day off work, and he kept telling our kids how he saw the tour go by every day when he was at school (it still passes by the college he attended), but never expected to be on it one day with his four children! 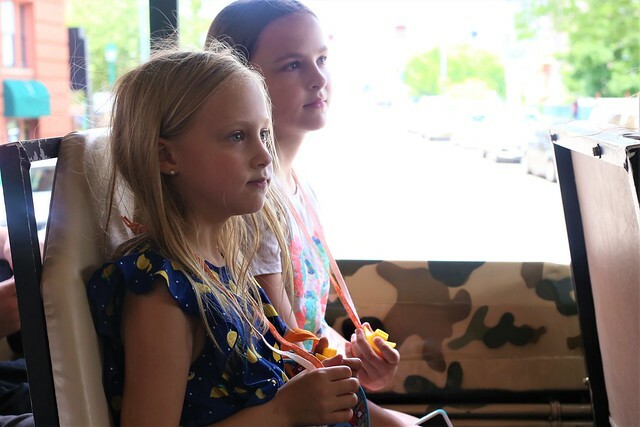 Dylan and Lexie went on Just Ducky Tours field trips before, so they knew what to expect. Even though Lexie had just gone on a tour in May, she was looking forward to doing it again. All Lily wanted to do was steer the boat, which the tour guide promised she would get to do. I, however, worried a bit about how I was going to take pictures to document our experience while keeping Liam (AKA the Tiny Tornado) in his seat. Spoiler alert: I was pleasantly surprised! The tour begins in historic Station Square. Just Ducky Tours has a storefront where you can check in, and it's full of fun souvenirs. The staff was friendly, and check in was a breeze! If you're going with kids, they're going to want a Quacker for the ride. (Mine definitely did! And that includes the teenager, which was a huge surprise!) It's recommended that you check in 45 minutes before the tour begins, which is exactly what we did. The boarding area is across the street from the storefront, and there is plenty to do while you wait! Although you won't have enough time to eat after you check in, they do give you a coupon to Hard Rock Cafe, which is right next to the boarding area. 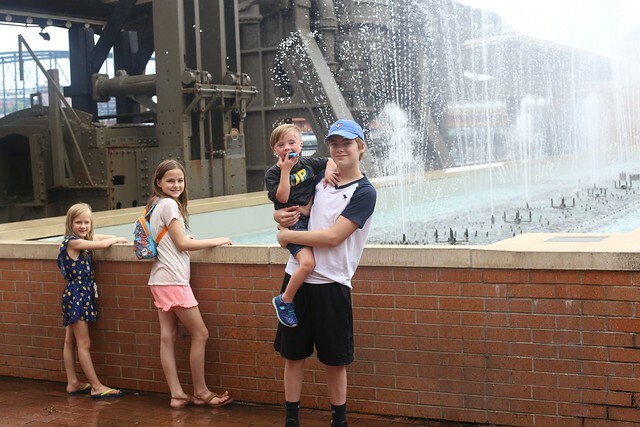 My family opted to check out the awesome fountain, and go up on The Landing to get a great aerial view of the city, the rivers, and Station Square. It was a super hot day in Pittsburgh, but the wait wasn't bad. The mist from the fountain helped, Liam had plenty of time to burn off some energy, and my older kids enjoyed the views. Like I always say...there's never a dull moment with our crew (AKA The Chaos Crew). First, Lily slipped in a puddle, and fell right into the middle of it. She ended up getting soaked, but she laughed it off (and dried very quickly). Then, a train approached on the nearby tracks. The driver saw Liam watching intently, and blew the whistle for him and waved. WELL...Liam had never been that close to a train before, and the loud whistle sent him running back toward us at top speed with a terrified look on his face. Everybody sitting by the fountain started laughing, and the man driving the train was laughing, too! At least our wait was entertaining! Finally, it was time to line up to board! The boarding area for the tour is conveniently located along the main street in Station Square. When you check in, you are assigned a flag, and that's where you wait for your DUKW to arrive. Passengers start lining up early, and seating is first come first served, so if you want to sit in the front, or get one of the coveted 6 spots on the back deck, you have to line up early! Shortly after they open the DUKW for boarding, the tour begins! 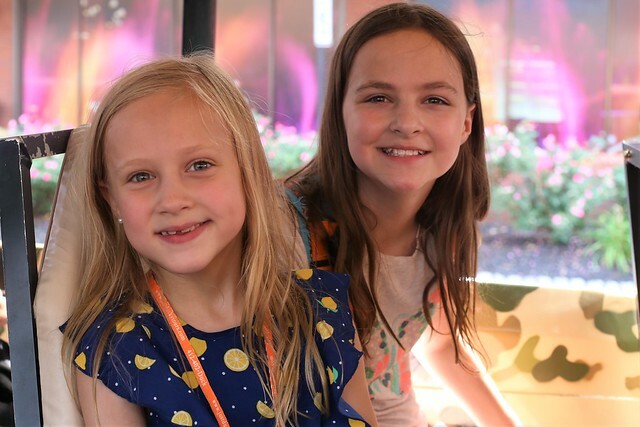 Each DUKW has a driver and a tour guide, and they both narrate the tour. 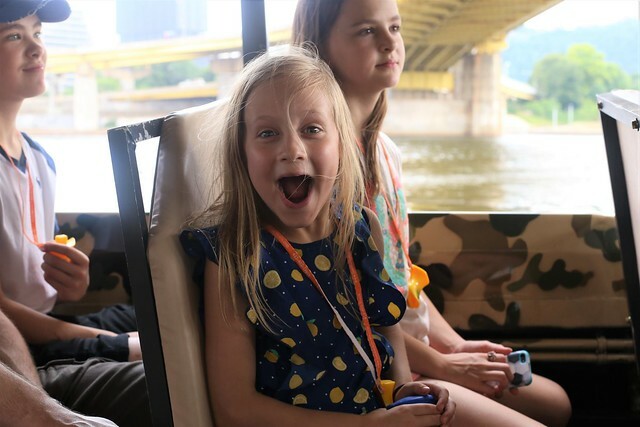 Even though you're learning about Pittsburgh, and hearing historical facts, the guides are very entertaining, which makes it fun! Our tour guides, Jason and Carol, kept us laughing with their witty banter, and frequently involved the pedestrians and other drivers. In case you're wondering, Pittsburgh is a friendly city, and most people played along! And, yes, the guides do encourage the passengers to Quack Quack Quack throughout the tour (or use those Quackers)! The DUKW effortlessly moves from the city streets, onto a sidewalk, and down the hill toward the river. It passes by the Water Steps (another must do free activity with kids), and drives directly into the river. I'm not going to lie...it took me a minute to adjust to the fact that the vehicle that was just driving on the street minutes ago, was now floating in the water! And when Liam peeked over the edge of the window, and into the water, the expression on his face was PRICELESS! The river tour was probably my favorite! We had an amazing view of our beautiful city from the water. Floating on the river was calming, and I could have easily stayed out there all day. The tour guide kept her word - Lily was SO excited to be able to drive the boat for a few minutes! In addition to the regular views from the river, we got an extra special treat. The gorgeous American Queen was docked in Pittsburgh that day, and we floated on by! 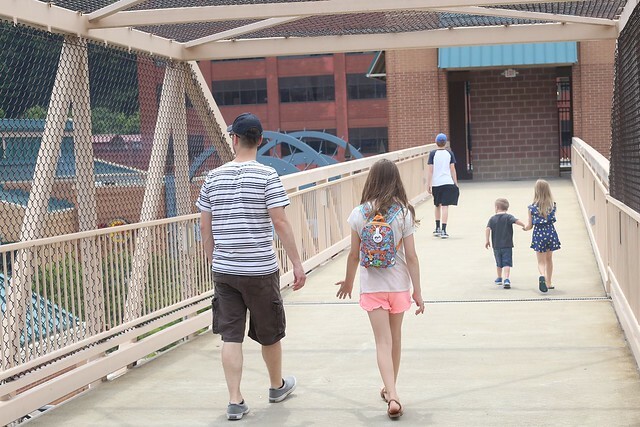 There is so much to do in Pittsburgh with kids! Although we didn't have time to stay in the city longer, I would highly recommend using the discount coupon for Hard Rock Cafe that Just Ducky Tours gives you when you check in, then crossing the street and taking a ride up the incline to Mount Washington. The view of the city from the top is INCREDIBLE! 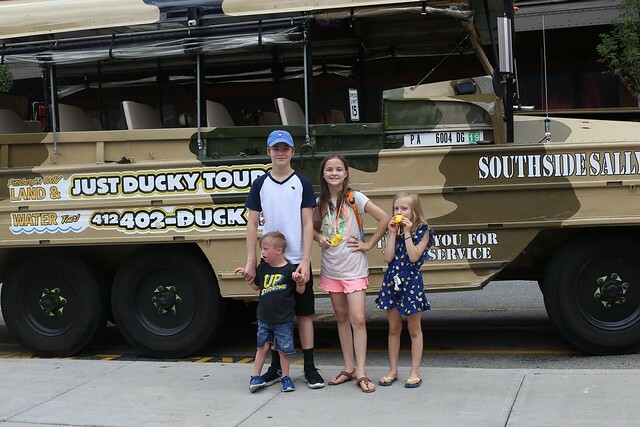 My family had so much fun on our Just Ducky Tour! Although Dylan and Lexie were seasoned passengers, it was a first for Grant, Lily, Liam, and me. 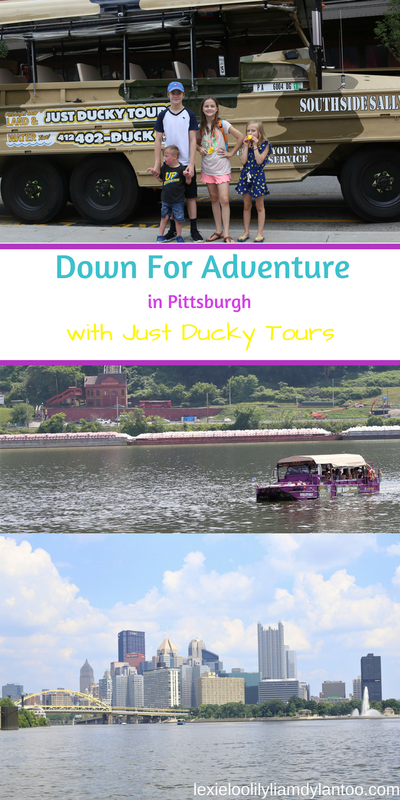 Just Ducky Tours is not just for tourists visiting the city. 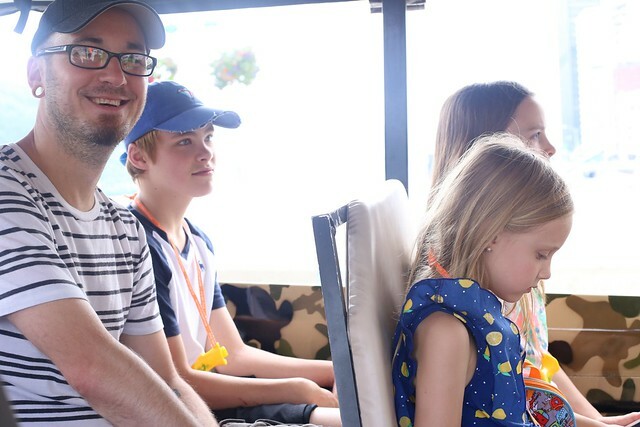 It's a fun tour for anybody, and it was a great family activity for my own crew! 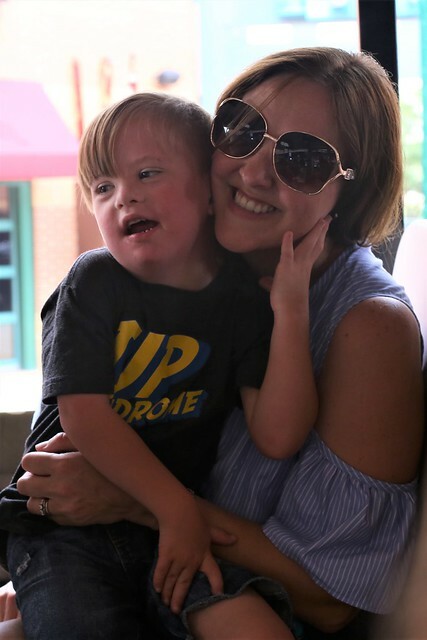 I had a great time, but as every mom can understand, it was more enjoyable watching my kids experience the tour! The way they absorb everything with wonder in their eyes just makes experiences like this one so magical. 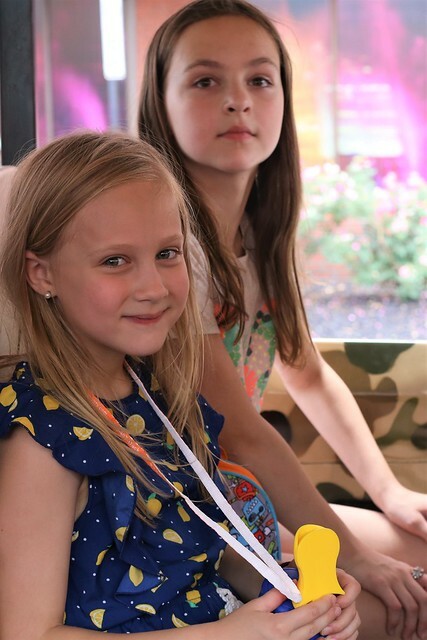 My kids had so much fun, and they actually learned some awesome facts along the way. It was a memorable day for my family, and it's a day we'll remember for a very long time! Just Ducky Tours operates from April 1st through November 30th. It is recommended that tours are booked in advance, either over the phone or online, because tours may sell out a few days in advance. Tour times are 10:30 AM, 12 PM, 1:30 PM, 2:45 PM, 4 PM, & 6 PM Monday through Friday, and 10:30 AM, 12 PM, 1:30 PM, 2:45 PM, 4:30 PM, & 6 PM on Saturday and Sunday. Thanks for the fun and memorable day, Just Ducky Tours!!! So fun! 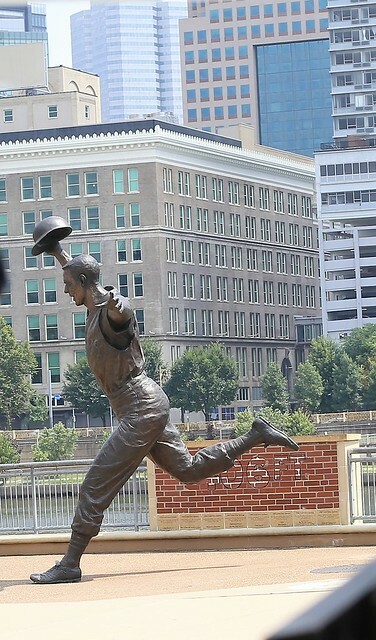 I was in Pittsburgh once when a friend of mine was in school there and we visited him. So long ago! It looks like a lovely city. 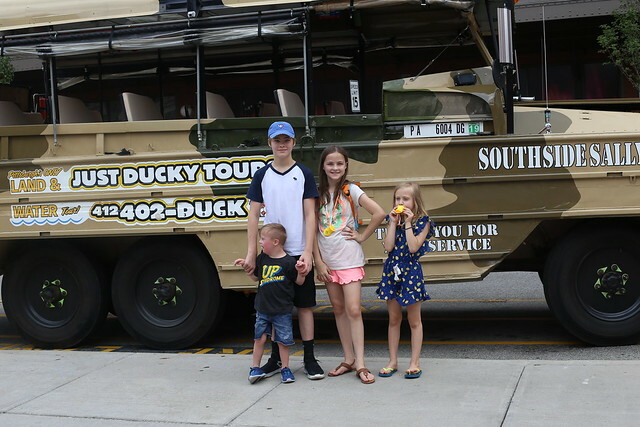 We did a duck tour in WI also and it was a lot of fun! What great pictures you go of Pittsburgh! My family loves the ducky tour!!! SOOO much fun! I LOVE our city so very much and your pictures captured it beautifully!! Looks like so much fun! Great pictures. Have a great weekend! This is so cool!! I would love to visit sometime! I've never been!